The vision began on a road trip among friends as we returned from a conference in Illinois that included many of our favorite theologians and scholars, most notably N.T. Wright. It could be said that we were returning from a sort of retreat ourselves. My good friend Tim was in roughly the fourth hour of his driving shift on the PA turnpike when we began to share the celebrations and laments, among other things, that often accompany the life of a youth pastor. We particularly grieved the intense pressures that our students face on a day-to-day basis- school, work, scholarships, college applications, peers, image and identity, parents, and the media, just to name a few. We also shared our common heartaches over these pressures that often distort adolescents’ ability not only to see the kingdom of God, but also to participate in it. In other words, their schedules and calendars are already so full that to even begin to consider taking a weekend off for a spiritual formation retreat or missional experience is difficult and nearly “impossible.” After all, what return would there be on their investment in a week(end) away? Would their time not be better spent studying, writing, working, competing, practicing, researching, and filling out forms? We live in a culture that considers any form of prolonged rest lazy and recess from scheduled obligations irresponsible. And the sources of such critique and pressure often comes from those closest to them, making any sort of break from the idolatrous and exhaustive rhythms of suburban America all the more difficult for Christian youth. 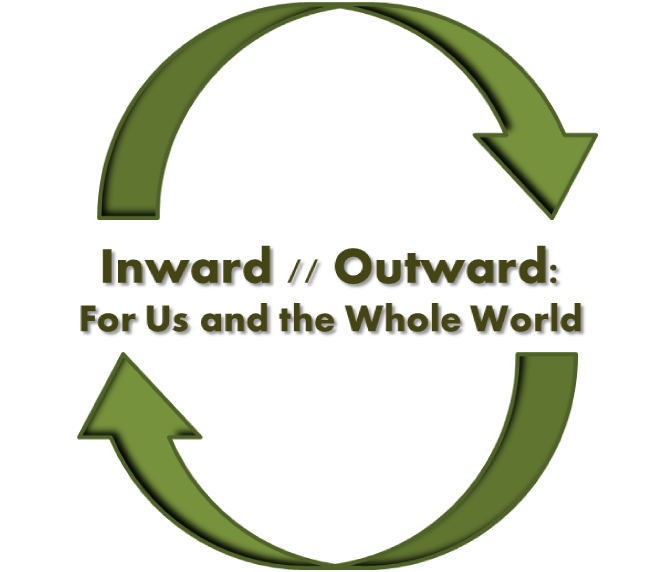 So we thought, we prayed, we dreamed, and decided…let’s develop a subversive retreat where we expose these pressures and provide youth with a weekend where they are free to rest and engage Christian spirituality within the context of community. And yes, a Presbyterian and Evangelical Free Youth Pastor would do this together. Believe it or not, even the apocrypha can preach. If we can use media clips from contemporary films and pop-music, why not the ancient story of Daniel who exposed the fallacy of Bel, a foreign idol who was fed everything the king had? Why not parallel this story with the Protestant Scriptural narrative of Elijah (1 Kings 18) who did much the same with the priests of Baal? Moreover, why not draw parallels from both as we remind youth that so often we feed cultural idols all our energies, time, talents, and resources only to have the “expiration dates” (as Tim cleverly noted) of these deities exposed? So we did! It was incredible to see the youth take advantage of and be refreshed by being granted freedom and permission to expose the root of their pressures and anxieties, i.e. cultural idolatry, that have threatened to drain them of their life energy. Tim led a beautiful reflection on the myth that we have to have everything figured out before we consider engaging in the mission of God. Many of us, teenagers included, have a superhero complex by which we both think we have to and believe we can solve all the world’s problems on our own. Our obsession with individualism has infringed even our altruistic aspirations. Yet we were meant to live in community, serve in community, worship in community, and work towards change and justice, which are markers of God’s kingdom, in community. I greatly appreciated Tim’s beginning with a communal emphasis, from which individual participation stems. Furthermore, his reminder that God calls all, including youth, as they are versus when they figure everything out or get their lives in perfect order. We do not often discuss the divine mysteries, i.e. sacraments, within our youth ministries specifically, or our church communities generally. It is often assumed we know what they are all about. So we created space to reflect on the baptismal waters that are both sacred and sending, for us and the whole world. Aided by the echoes from early Christians like Aristides and Tertullian, we compared and contrasted the ethos of ancient Christian communities and that of contemporary, consumer-driven religious clubs. How far had the church come, or strayed? Are these ancient communities really a part of the gospel story we claim as our own? However, the bulk of the conversation came as the product of intentional small group and ecumenical conversation generated by youth who have the eyes and ears of the kingdom. Is the Eucharist just another meal? While we were sure to once again tap into the legacy of alternative heroes and sheroes, such as Perpetua, Felicitas and Justin Martyr, we also allowed the recent episode of Glee, “Grilled Cheesus,”  to provide a platform for ecumenical dialogue about the sacred and sending Eucharistic table. Again, the bulk of the conversation was generated by the small group conversations. However, after noting the plurality within the gospels related to the Last Supper , the most significant part of the weekend for me was when we gathered around the table as Tim instituted the sacrament . What a beautiful picture as over 50 youth and their leaders gathered around the table, reminded that the body and blood of Jesus is for us and the whole world. And the beauty of the gospel is that while it is for the whole world, it also includes each of us! Tim’s natural ability to tell stories and engage students with a pastoral heart provided an appropriate end to what was an incredible weekend! He even was creative in his challenge for the students to take the time to pursue personal formation and spiritual disciplines that are markers of a relationship with the God who created all and is in all. 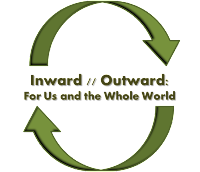 Moreover, as we live into our inward journey we are then sustained for our ouward journey, for us and the whole world. I could go on and on with witnesses to how God was at work this weekend. The weather. The conversations. Football games and bonfires. Picnic table reflections. Disco parties in bunkrooms. Walks along the Chesapeake Bay. Frost’s incredible ability to lead us in worship and song. Random appearances of Lady GaGa (who oddly enough looks like Tim Ghali). Even the annual (Un)Talent show, a fresh reminder that part of kingdom life includes laughter. For we are indeed fools for the gospel who have a diverse collection of gifts and abilities, some which continue to make me laugh as I think back, and all which can be transformed into gifts for us and the whole world. After all, this story is considered Scripture by a large portion of the Christian Church around the globe, i.e. Catholic, Greek and Russian Orthodox. This includes a reflection on the apparent absence of the Eucharist in the Gospel of John and the writer’s replacement with the washing of the disciples’ feet (John 13). However, when one reads John 6 with Eucharistic eyes we discover that Jesus’ feeding of the five thousand is actually a Eucharistic celebration that extends beyond the disciples and out to the multitudes. In other words, the gospel writer reminds the church that the table is for us and the whole world.